Watch and see super cute goodies from some amazing online shops! Enjoy this week’s unboxing! Thinking of doing more LIVEs instead of recording & uploading — let me know what you’d prefer to see from me! Available only to patrons in the Sweetery Club. This subscription gives Patrons a monthly themed box with the monthly pin club reward and filled with a mix of handmade or originally designed charms, stationary, and more! 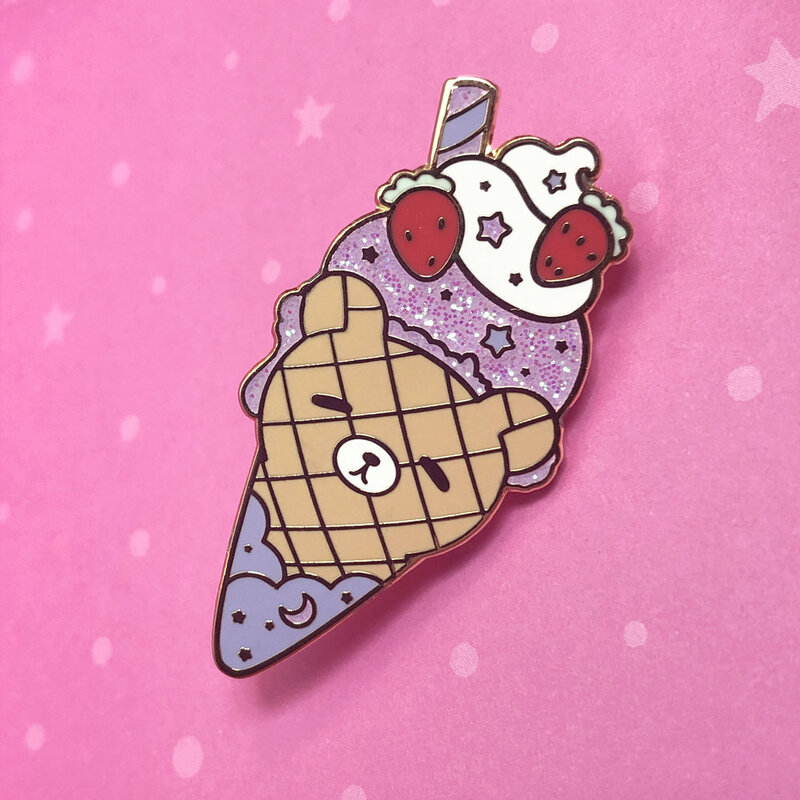 Patrons in the Sweetery Pin Club get a monthly pin and sticker that includes free U.S Shipping! Whatever you shop/brand name, make it visible — everywhere! There should be no question who made this bought product and it should be super easy to go buy more from you. Have your shop url easy to find. Put it on the actual product if possible (super easy to do on the back of your enamel pins). 💕 Your customer now has your product in hand, make it easy for them to sing your praises! Each of your cards/backings don’t need to be identical, but it should be undeniably clear that all the products in your package come from your unique shop. This is as easy as using the same sealing technique for all included merchandise, or having a consistent backing card shape & size. As a small shop, you have the ability to personalize each and every order! Use the magic of extra touches to make an unforgettable presentation in your deliverables. Some examples of this found in this particular unboxing: the little ‘ur cute’ note hidden under the Love April Moon’s pin, or the hand written ‘thank you’ on Nikury’s adorable info card. It may take you an extra minute or two per order, but it will give you an impactful impression during the essential few minutes of undivided attention you get from each customer. Magic Mail Monday is every other week features awesome shops creating fabulous stuff! Ready to take your own shop’s branding & customer experience to the next level? Let’s work together to build your totally custom style guide so you can look good from every angle online!